You’ll never have to buy granola again. Are you ready to begin Granola 101!? Grain (3 cups): Old Fashioned Rolled Oats are a standby but you can play with others. I like to add a few heaping tablespoons each of quinoa, millet and chia to my oats for added crunch and nutrients. 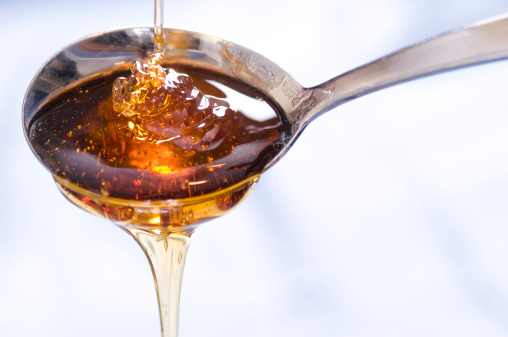 Sweetener (1/2 – 3/4 cup): This is what binds everything together you can use maple syrup, honey, agave… I use half maple syrup and have honey. 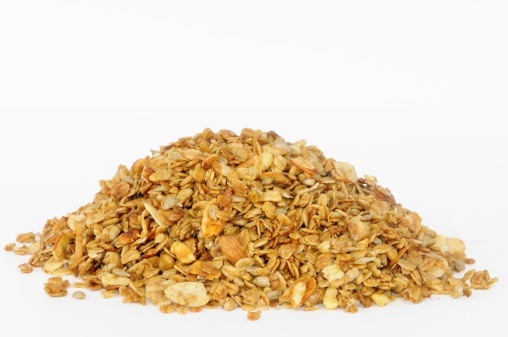 Oil (1/4 – 1/2 cup): You wanna know how to get crispy crunchy granola every time!? 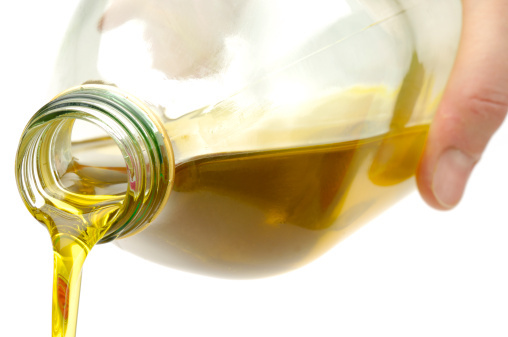 Extra Virgin Olive Oil, I won’t use anything else. 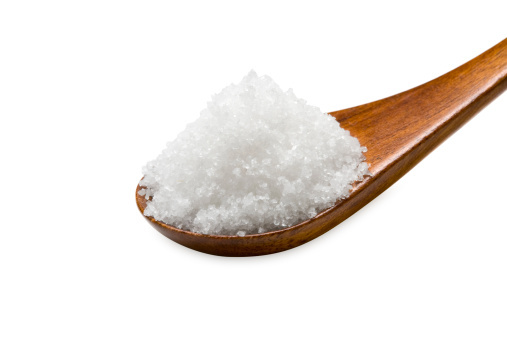 Salt (1tsp Kosher or 3/4 tsp regular): This will bring out your granola’s flavour. 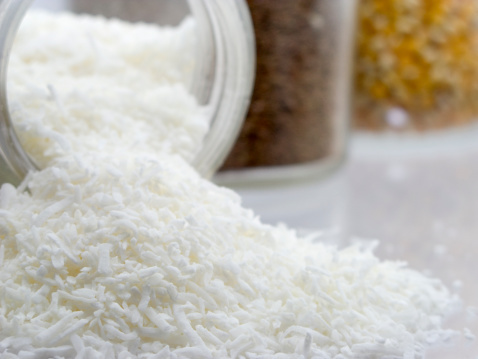 Coconut (1 cup): Why not add some texture and flavour!? Use 1 cup, but wait to add it at the very end of baking so that it doesn’t burn! 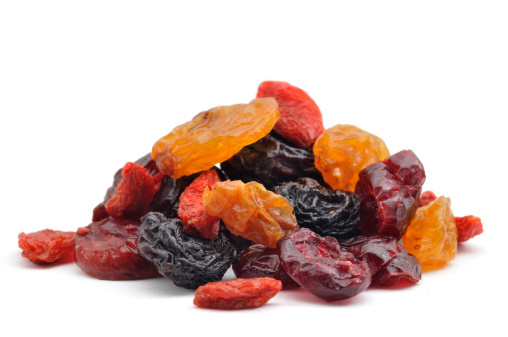 Dried Fruit (1 cup): Go ahead and add in 1 cup of your fave dried fruits, but be sure you do it AFTER BAKING! 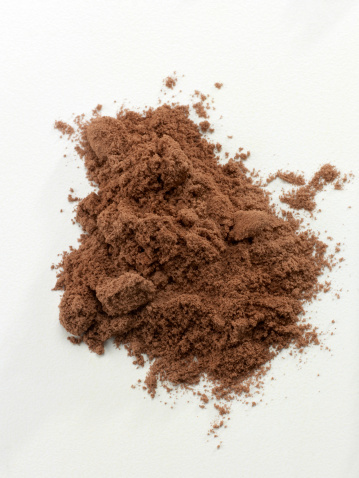 Chocolate (3/4 – 1 cup): If you’re using cocoa (3/4 cup) and add it BEFORE baking. If you’re using chocolate chips (1 cup) and add AFTER baking when your granola is cool otherwise you’ll have a big melty mess! 1. 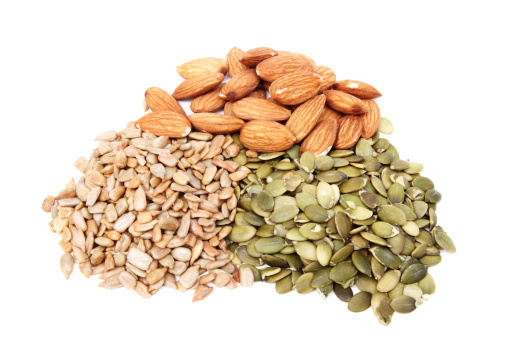 Measure grain, nuts, seeds, salt, and spices into a large bowl. 2. Add sweeteners and oil. 5. Bake at 300* degrees for 30-45 minutes and give it a good stir about halfway through so all sides of your granola get crispy. 6. 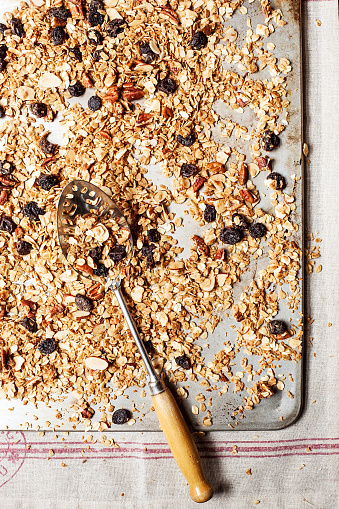 When toasty and delicious remove from the oven and allow to cool before storing your granola in an airtight container. 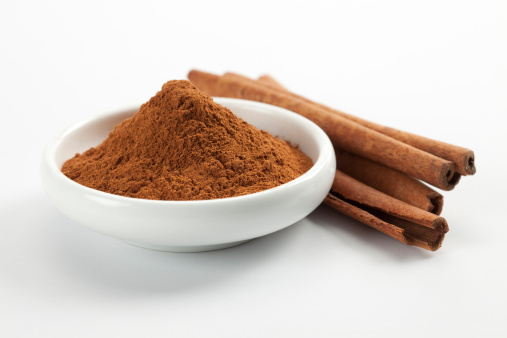 Posted on September 23, 2015 October 31, 2017 by Table Without BordersPosted in Breakfast Foods, RecipesTagged bake, Breakfast, cocoa, Coconut, customize, DIY, dried fruit, dried nuts, fit kitchen, grains, granola, Healthy, homemade, Honey, maple syrup, muesli, oats.